This entry was posted in Allergy & Intolerance, Recipes, Uncategorized and tagged allergy friendly, Almond meal, bacon, baking, chocolate, Chocolate chip, Coconut, coconut flour, coconut oil, dairy free, facebook, flavour, free range, gluten free, grain free, health, Ingredient, muffin, Recipe, Sodium bicarbonate, Tablespoon, well-being. Bookmark the permalink. Would these work with. Ground flax seeds to replace the egg? ( egg allergie) or banana? 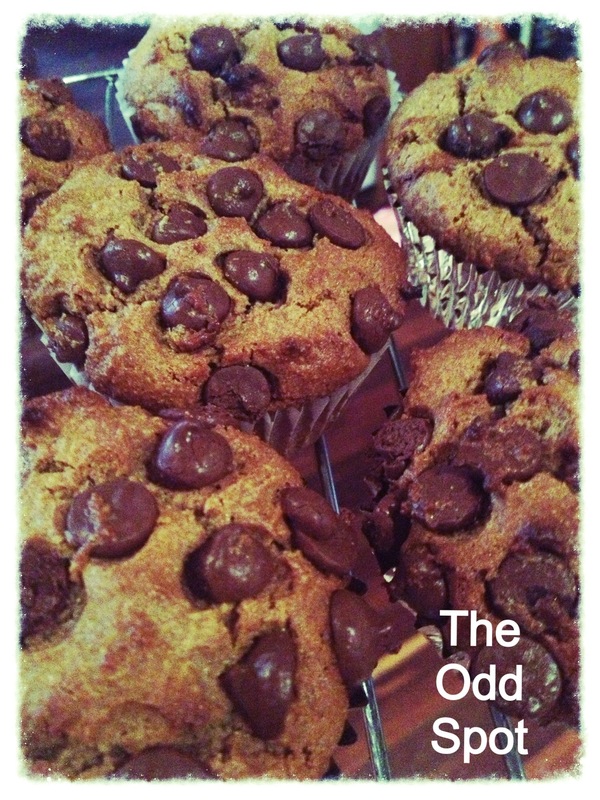 Banana would definitely be delicious but would make the muffins a little more dense than they are with the egg. I am not sure a about the flax but I have had success in other recipes using chia seed gel!! Ok thanks. I will have a play about with different things and see what works. Thankyou! Yes, it is always my daughters responsibility to add the choc-chips! That way I avoid feeling guilty for adding too many and can blame her for the high concentration.